These products ensure reliable communications in even the harshest environments. Some of the more popular products are described here and in our WebStore. If you don't see what you want, contact us. We have relationships with a number of communication product vendors and can offer and/or recommend other options and complementary products to our core technologies - SoftPLC Controllers, Protocol Converter Gateways, TagWell Remote Management Platform, and SoftPLC Web Studio SCADA/HMI products. Also take a look at our Smart Netbox - a comprehensive Ethernet managed switch, media converter, remote access modem, firewall and more. 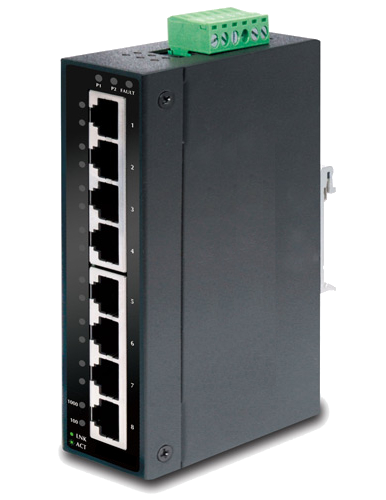 Industrial-grade Ethernet switches, models GCLx, enable you to expand your industrial networks quickly and cost-effectively. The ruggedized design assures high reliability and stability in harsh environments. For installations utilizing fiber optics, noise protection and longer distances can be supported with fiber-capable models. 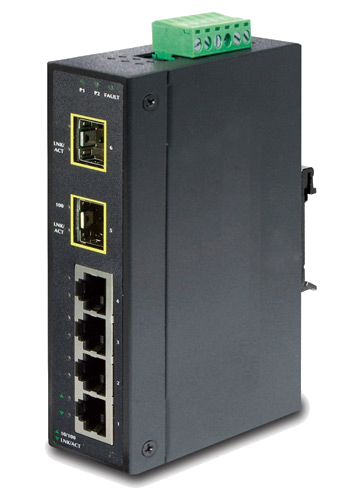 Use them as a robust bridge between enterprise fiber-optic backbones and industrial Ethernet-enabled devices, or for long-distance transmission runs. Serial Media Converter and Repeaters provide conversion between serial networks and other media. They can transparently convert RS-232 signals to RS-422/485 signals, as well as fiber optic signals. A fiber media converter makes it possible to connect two dissimilar media types such as twisted pair with fiber optic cabling. They are important in interconnecting fiber optic cabling-based systems with existing copper-based, structured cabling systems. Fiber media converters support many different data communication protocols as well as mutiple cabling types. When expanding the reach of the LAN to span multiple locations, media conerters are useful in connecting multiple LANs to form one large campus area network that spans over a limited geographic area. Other benefits include providing a gradual migration path from copper to fiber. Fiber connections can reduce electromagnetic interference. Also, fiber media converters offer an inexpensive solution for fiber installations - you can often use ordinary switches plus fiber media converters to reduce overall cost. We offer a variety of different modem types (cellular, phone, etc.) and wireless equipment that can be used with our SoftPLC PACs/Gateways (including RTU's & TagWell Remotes) and SoftPLC Web Studio HMI's. Only the most popular items are listed, many others are available. Contact SoftPLC to discuss your application requirements. Mounting dimensions and options for A-Series I/O and communication modules.